Aerial bartending is the only way to get your drink with a sophisticated and proper twist! 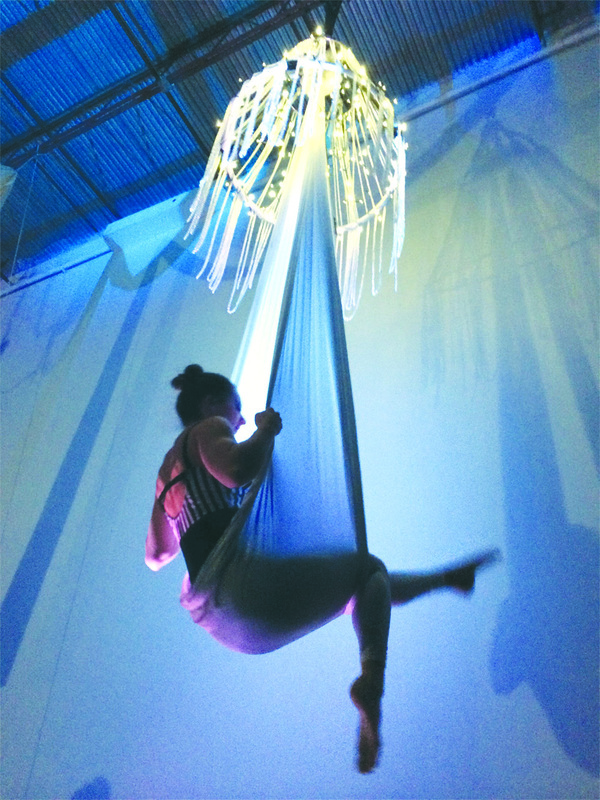 It is one of our most popular aerial entertainment options! We also have an amazing human sized champaign glass.